Magic is a dream in which we put ourselves in the fantasy of the reality that surrounds us. It's a wishful thinking that all humankind posses. It's life itself. And I for one believe in it. Magic with true class and expertise. Danny T. has been performing elegant magic for over twenty years, and is involved in the magic community for almost three decades. He has performed in front of small intimate gatherings to large theater venues. From trade shows and cocktail parties for celebrities to corporate and political events all over the country. Some of the celebrities Danny T has performed magic for include Clive Davis, Bobby Short, Tony Randall Jeff Goldblum, Whoopi Goldberg, Kate Hudson, Spencer Breslin, Jack Lemon, Robert De Niro, Tara Reid, Susan Sarandon, the cast of the Sopranos, performing artist Maya, Alicia Keys, Stephanie Mills, Iron chef Masaharu Morimoto, baseball player Kazuo Matsui, Famous piano composer Seymour Bernstein, world renown music director Atsushi Yamada, and Emperor and Royal Family of Ethiopia. SANOFI group in Denmark. And H.I.S Japan., NINJA New York and SHIRO of Japan.  Danny T. is involved in many associations concerning the Magical Arts. 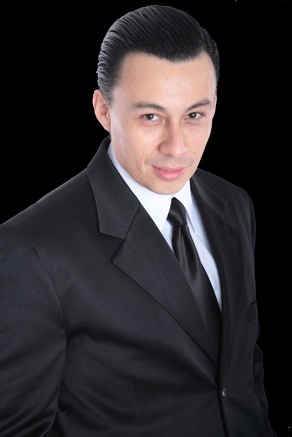 Danny T is also a magic inventor, instructor, consultant and author of his own book "The Real Secrets Of The Close-up Performers". His name has been featured in many local and international newspapers, magazines and magic journals. He's been a guest judge for five magic competitions. Danny T also co-produces and performs in a Manhattan Cable Magic Show called Magic TV, airing every Monday night on Manhattan cable. 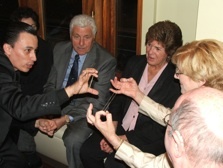 Right now Danny T. is the consultant magician for an upcoming TV special in upstate New York to be aired summer 2011. In his latest feat Danny T is the magician consultant for the documentary “Misdirection” to be aired in fall 2010. Currently Danny T is the Producer of "Friday Magical Moments". A unique show presenting the best magicians from around the continental USA. Danny T. is well known for providing his clients with the most professional entertainment tailored to make it memorable so they will have an unforgettable experience that will be the talk of all future parties to come. Experience the magic that will keep you in wonder through the entire performance. Make your next special event unforgettable...through THE MAGIC OF DANNY T.
That was Amazing thank you sooo much! Dude. You're freaking me out.! How do you do that? That was cool ! Do it Again!........hahahah ok you got us. You are my favorite magician. Thank you for coming I'm so glad I called you. The best magician I've ever seen. It was an honor to have you among us. Wonderful job. - Royal Family of Ethiopia. We are a scientific community and you fooled us all. Thank you Danny T. it was absolutely awesome. Rave Reviews for Danny T.